Wicklow's Cool Planet Experience has seen visitors pledge to save the equivalent of over 1.4 million trees in the past year, it says. 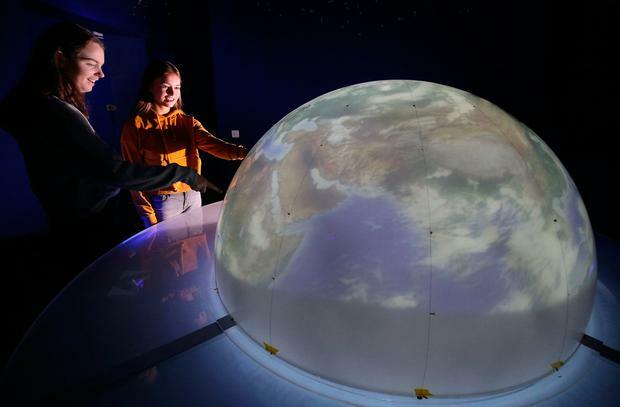 The interactive climate change experience, located within the Powerscourt Estate, shared the news to celebrate its first anniversary. Guests at the attraction take part in interactive games, competitions and exhibits designed to inform about the realities of climate change. The message is a hard-hitting one, with visitors encouraged to calculate their carbon footprint as they enter and become ‘Agents of Change’ as they leave - pledging to cut back on red meat, for example, or reduce their long-haul travel. In the past year, visitors promised to reduce their carbon footprint by 25pc - a cumulative 30,000 tonnes or the equivalent of saving over 1.4 million trees, it says. Children have taken the lead - pledging to reduce their carbon footprints by 25pc, records show, while adults lag a little behind on 22pc. “What is especially exciting is our results are supporting the findings of the citizens assembly on climate change. Once people understand the evidence and changes required to address global warming, they are willing to play their part, and to make the necessary lifestyle changes." Cool Planet is the brainchild of entrepreneur and owner of Crowley Carbon, Norman Crowley, along with Sarah Slazenger, the Powerscourt Estate's custodian. Its ribbon was cut by Richard Branson last year, and the attraction has also been shortlisted for a European Museum of the Year Award. Entry costs €9.50/€5.50 (a 20pc discount is available online up to March 31 using the code WeAre1). See coolplanetexperience.org for more.